‘The Package’ will Lee Yeon Hee and Jung Yong Hwa’s relationship develop into a destined love? 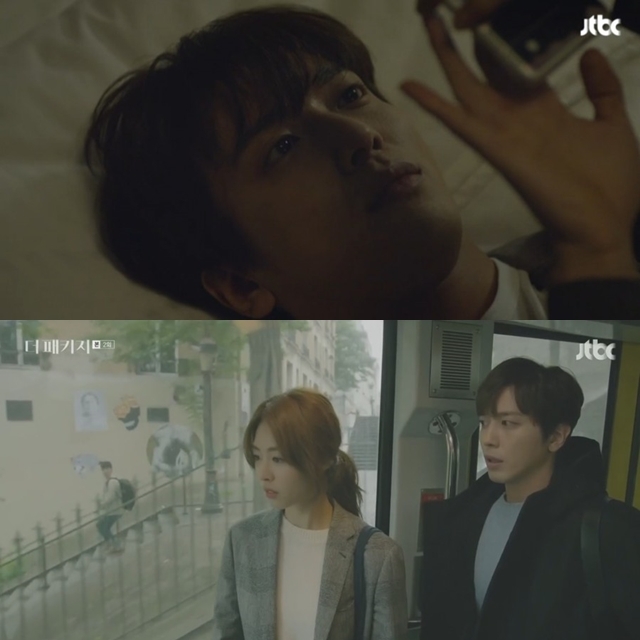 On the 14th, JTBC’s Friday-Saturday drama ‘The Package’ episode 2 depicted San Ma Roo (Jung Yong Hwa) who is attracted to Yoon So So (Lee Yeon Hee). Ma Roo wanted to chat with So So who is good at talking, and he knew So So was being chased and wanted to help her. So So has a very difficult life. While working as a tour guide, So So raised money to pay for her school, she must also avoid the mysterious figure (Yoon Park) who likes to follow her. The mysterious figure came to the office and knew So So’s work and travel schedule. The secret between So So and the man increases the tension. Ma Roo cannot forget the lover who did not come with him. He saw anecdotes as he looked at the building he and his girlfriend were preparing. He looked lonely when taking pictures alone in Paris. Then he found So So who was with him in the photo. Problems arise with company bosses. Ma Roo’s lover who did not go on holiday with him worked for the company. At dawn, Ma Roo got a call from the company and had to do what his boss told him to do. Although Ma Roo was traveling, he still could not leave his job. So So was also worried about the condition of Ma Roo. Ma Roo tried to hide So So from the person who is after her. So So felt confused, but she accepted Ma Roo’s help. Ma Roo said, “Someone’s looking for you.” Ma Roo felt his heart pounding again because of So So. Curiosity and attraction arise as to whether they can unite as a destined couple.